- Governor Won detailed his plan to make Jeju a blockchain hub at a meeting at the Blue House. Governor Won, who was reelected as Jeju governor in June, has initiated various policies to attempt to turn Jeju into a blockchain hub in East Asia. Less than a month after the statement above, Governor Won requested Jeju get special blockchain zone status at the Mayor and Governor Meeting at the Blue House on Aug. 30. Such eagerness suggests his determination to prioritize the designation of Jeju as special blockchain zone over other policies. Unsurprisingly, the blockchain industry reacted positively to Won's plans. The news was a breath of fresh air in a market that has previously suffered from a series of bubbles and speculation controversies, as well as significant regulation from the government. The Governor’s proposal boils down to three major points: First, he requested the designation of Jeju as a blockchain and cryptocurrency special zone, and the right to create a regulatory model for cryptocurrencies together with the government. Second, the plans aim to guarantee that cryptocurrency exchanges follow the regulatory model and alleviate the current limitations on activities such as opening virtual accounts. Third, the governor wants to allow blockchain businesses to operate on Jeju in accordance with the regulations. It is hoped this will foster the development of these businesses and help activate global trade. 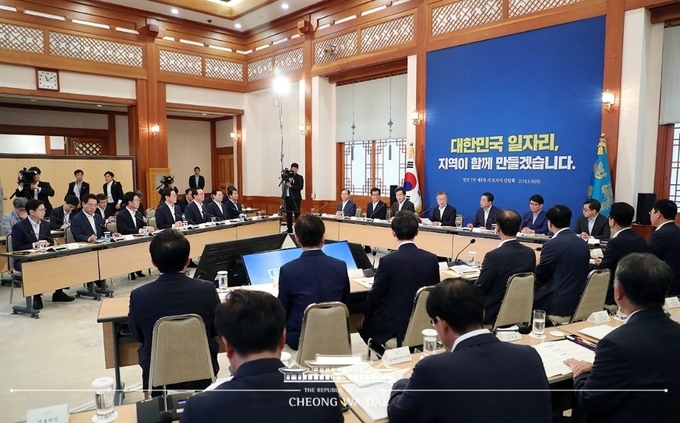 Governor Won suggested that the government, Jeju island, and private firms create a joint task force to further discuss the matter. 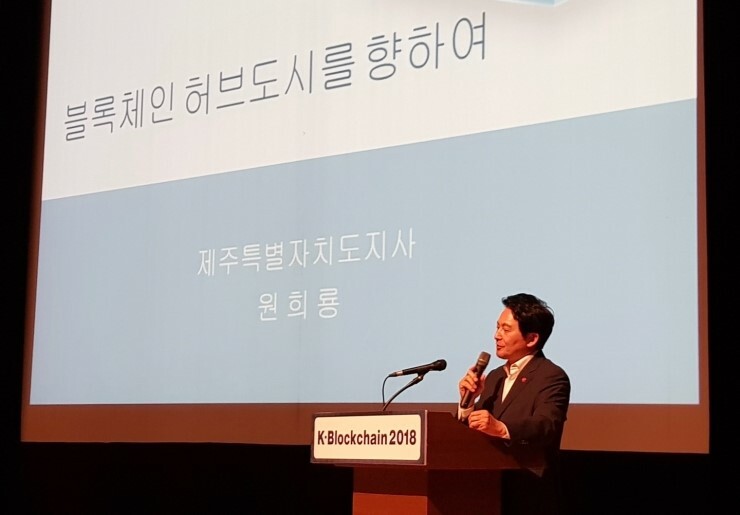 Won said, “as a ‘Free International City,’ Jeju Special Self-Governing Province is capable of creating the necessary regulatory innovation for global business.” He emphasized that rational regulatory tools must be created with clear standards and regulatory power, so they can help push blockchain and cryptocurrency markets forward. Governor Won provided further details for his plans to nurture the blockchain industry and maintain market order. These include plans to introduce negative regulations, only allow exchanges that meet global standards, create jobs at the exchanges, set foreign exchange standards, verify that businesses are complying with regulations, apply safety devices that verify blockchain businesses, and create regulation for speculative and scam businesses. Won clarified that although issues such as speculation, money laundering, and criminal abuse have been associated with cryptocurreny, those are problems of the market and not of the cryptocurrencies themselves. Also, payment and profiting between the actors within the cryptocurrency market is not unethical. From an economic perspective, these actions are simply the circulation of assets and are essential to the establishment and sustainability of the blockchain ecology. ▲ The first meeting of Mayors and Governors at the Blue House, Seoul, on Aug. 30. Photo courtesy of the Blue House. Asserting that, “to correct the market order, it is more effective to incorporate blockchain technology and cryptocurrencies into the existing establishment than to regulate them,” Won said his plan would first apply regulation through the special zone designation, then build on the experience to dynamically apply change and improve the system. In an interview with a media outlet, Governor Won laid out how he thinks blockchain could be used on Jeju. On example was that it could manage the quality of Jeju’s agricultural and livestock produce. The certification will be registered in the blockchain ledger, which will enable the produce to be traced and differentiated from fake produce. 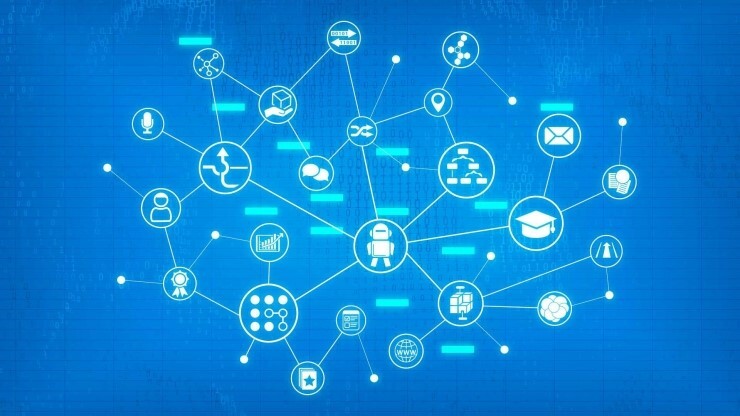 According to statistics from the Ministry of Science and ICT, the blockchain market in Korea is expected to grow ten times over the next five years. Market research company Gartner speculates that by 2030, world-wide blockchain related markets will rise to the size of 3 trillion 100 billion dollars. This is 3,433 trillion 250 billion in Korean won. Governor Won said that blockchain has the potential to be a game changer that can reduce trade costs, prevent the creation of a “big-brother” society, and transform the platform ecology. Won has said that although there are risks and challenges in the current market, for Korea to lead the ecology of the blockchain, this must be accepted.